This was a whole store remodel. 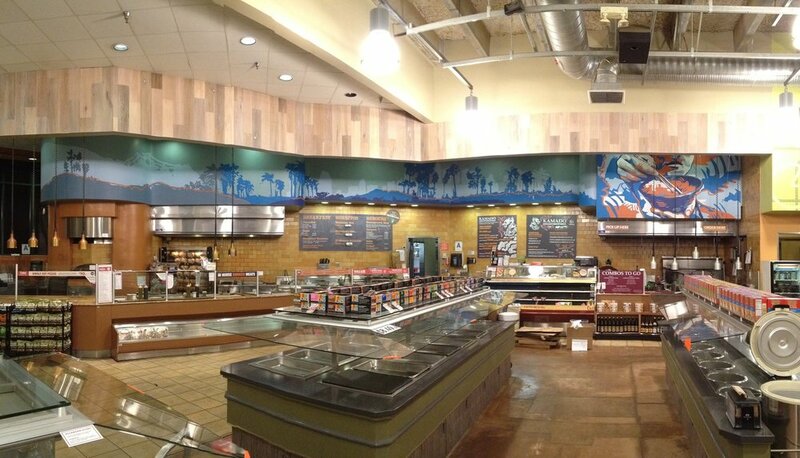 A lot of work throughout the store including a bunch of murals. I created 4 good sized pieces in the produce section, hot foods area, checkout stands and in their bar/restaurant. Varying widths and heights throughout each mural ranging from 10ft to 85ft.